Before Christmas I had a lovely day out with some college friends in Lewes. Lewes is a good place to meet up - geographically it's good for all of us, but as a town it's great. I might have spent an evening browsing houses there on rightmove when I got home... Anyway; although the majority of the day was spent in coffee shops & cafes we also visited a makers fair where I bought a Christmas present for me Hugh. It was one of those slightly accidental purchases. 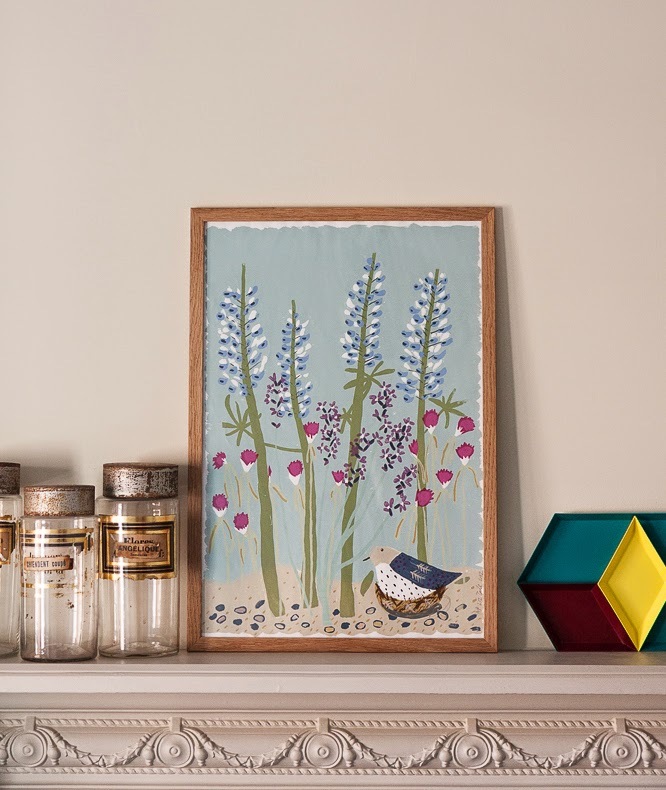 This print caught my eye right as we walked in and after a browse around during which I felt completely overwhelmed I just really wanted to buy something - partly to show some support for all the creativity - and partly as it's so good to be able to buy direct from the artist/maker. After lots of deliberating I finally went back to the start and decided to go for the first thing that had caught me eye. And so it was that I bought this print by Liz Toole. So it felt kind of fortuitous that e-frame contacted me to test out their online framing service a few days late. I spent ages deciding on a frame. Normally I can ask Hugh's opinion but as it was a present I was on my own. 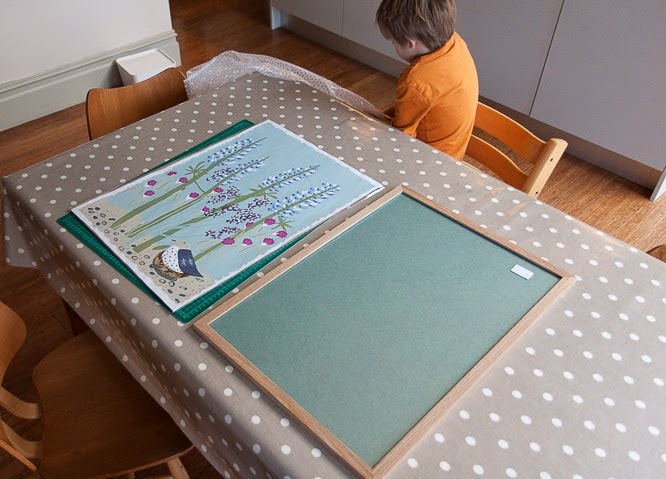 I couldn't decide whether to go with a mount or not, whether to go with natural wood or a painted frame... there are so many great options on the site and once you've typed in the size of the frame you need then you can click around all the options and see the changing price too. Eventually (as you can see) I went with no mount and a simple oak frame. The frame arrived very promptly - this was a custom size so I was fully expecting that I might not have been able to get it in time for Christmas but these guys know their stuff and my frame arrived within a week. 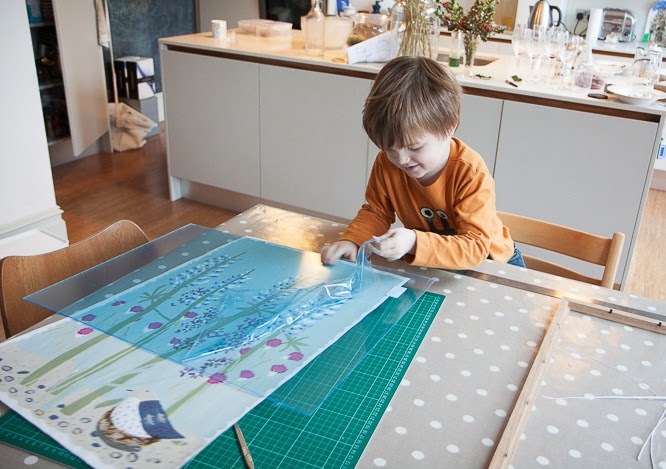 The whole process was so straightforward and the quality of the frame was lovely. I would definitely use e-frame again especially for custom frame sizes. Also the frames come with perspex instead of glass which I prefer - makes the frames lighter and easier to hang... and as we have a tendancy to leave frames leaning against walls it's much safer too. Thanks to e-frame for getting in touch and for giving me some credit to try out their service. And I do love the (my) present, framed beautifully..! I've just found this, the print looks great!